Takes charge of the onboarding, training, and development of our entire team, from crew to officers. Leverages HR knowledge to develop learning content, coach crew members, facilitate presentations, and onboard every member of our crew. Works closely with multiple HR teams, both shipboard and shore side, as well as officers aboard the ships. The Learning and Development Manager has a direct impact on our crew members’ experience and on cementing our status as one of the most sought-after employers in the cruise line industry. 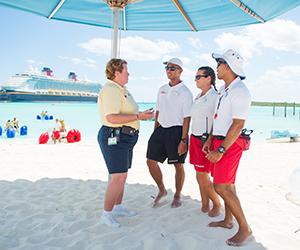 Led by the Manager, Human Resources, members of the HR team are part of a dynamic department that supports the overall crew experience aboard our ships and on Disney's private island, Castaway Cay. From talent planning to performance management, crew welfare to HR strategy, and diversity and inclusion to learning and development, this team performs a wide variety of tasks. Everything they do is with the goal to help our crew members succeed in their positions and enjoy shipboard life to the fullest. Responsible for a variety of functions that support our shipboard leaders. This role is responsible for the overall strategy and delivery of our leadership development programs, and serves as a role model and coach for our leaders. The Assistant Human Resources Manager ensures that our performance management processes are delivered consistently and effectively in order to uphold Company policies and procedures at the highest level. The Assistant HR Manager reports to the Manager, HR (shipboard). Takes charge of the onboarding, training, and development of our entire team, from crew to officers. Leverages HR knowledge to develop learning content, coach crew members, facilitate presentations, and onboard every member of our crew. Works closely with multiple HR teams, both shipboard and shore side, as well as officers aboard the ships. 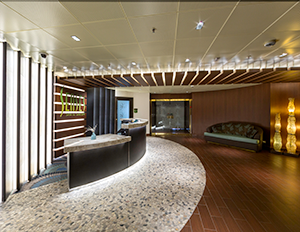 By developing and delivering learning and development strategies, the Learning and Development Manager will have a direct impact on our crew members’ experience and on cementing our status as one of the most sought-after employers in the cruise line industry. Leads the overall HR initiatives on our ships and serves as a strategic business partner for our shipboard clients. As a member of the shipboard Steering Committee, this role is responsible for developing key HR strategies that support overall business objectives and ensure that HR services are being delivered effectively. The Manager, HR reports to the Captain as well as the Shoreside Manager, HR. Performs a wide range of responsibilities within a framework set by HR leadership and local clients in support of our service delivery model. Partners with leaders by building strong relationships and acts as trusted advisor on topics including, but not limited to: Performance Management, Learning and Development, Coordination of DCL employee policies, Compensation and Benefits, HR Services, Compliance, Talent Acquisition, Workforce Planning, Administration and Personnel and Learning and Development. Partners with Employee Relations and ship/shore leadership to investigate policy violations, recommend appropriate corrective action and identify behavior improvements. Conducts needs assessments to identify root causes to ER/IR issues. Facilitates all new hire training and supports the new hires during their transition to island life. Champions Island Crew entertainment activities, events and recognition programs. Castaway Cay, Disney's private island, is located in the Abaco chain of islands in the Bahamas, approximately 225 miles from Port Canaveral and 60 miles north of Nassau. 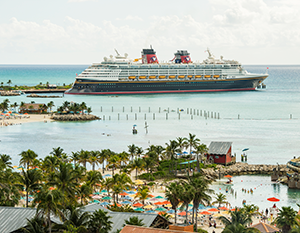 Situated in this tropical setting, Castaway Cay features a variety of amazing recreational activities and relaxing experiences that are often the highlight for guests on our Bahamian and Caribbean voyages. Our Island Operations crew, led by the Island Operations Director, consists of approximately 100 crew members in five departments. 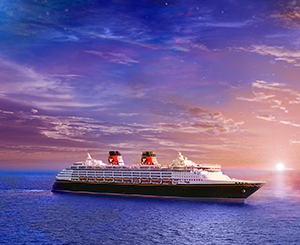 Together, they create magical experiences for guests who visit Disney's private island. Lives on Disney's private island in the Bahamas, Castaway Cay. Guards at multiple stations 300 feet apart on beaches and boat lagoon, and maintains cleanliness of these areas. Assists with guest rentals of recreation equipment (bicycles, snorkel gear, boats and floats). Cleans and repairs equipment (bikes, umbrellas, etc). Periodically checks and repairs predator nets in the lagoon. Works onboard the ship for short periods of time throughout contract, monitoring and ensuring safety at family pools, waterslides and onboard recreational areas. Also supports Port Adventures (shore excursions) operation. This position has high guest interaction. 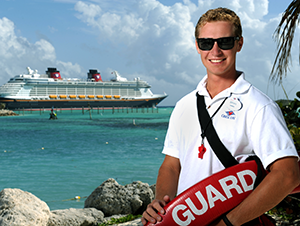 If you do not have at least one year of beach or open-water lifeguarding experience, you might be interested in our ship Lifeguard position. Click here to learn more! Carries out all general maintenance duties in all areas of the Island as directed with specific skill in plumbing work when needed. Maintains and repairs all buildings on the island. Performs welding, carpentry and painting jobs on the island. Maintains and repairs all kitchen, refrigeration, A/C and plumbing equipment. Maintains and repairs all electrical components related to outboards, engines and wave runners. Maintains island landscaping, trees and plans - weeding, watering, trimming, pruning and fertilization. Operates mechanical equipment including power trimmer, chain saw and tractors. Performs husbandry procedures of the aquatic animal collections at Castaway Cay in the Bahamas. Performs disease diagnosis, diet preparation, animal feeding and cleaning of animal facilities and equipment Provides informal and formal presentations to guests on the island. Integrates the Disney standard of Guest Service and the seven service guidelines into daily assignments. 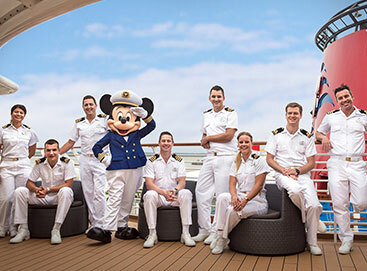 The following ship services are provided by third-party operating participants who work with Disney Cruise Line. If you are interested in opportunities in any of these areas, please contact the vendor directly per the instructions provided for each. Spa/Fitness Steiner Leisure Visit onespaworld.com for more information about spa positions and to apply. Medical Vanter Cruise Health Services, Inc. Visit vanterventures.com for information about medical opportunities onboard and to apply. For additional information, please email pmcallister@vanterventures.com. 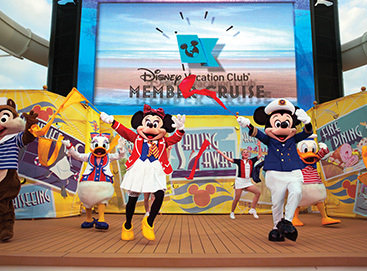 Lecturer If you are interested in the Disney Cruise Line Guest Speaker Program, please submit your request to dclentertainment@disney.com. Image Photography Image Photo Services Visit image.com to learn more about employment opportunities in photography and find the recruitment contact near you.